Sri Lanka, an island south of India in the Indian Ocean, is famed for its diverse landscapes, where rich rainforests sit alongside arid plains, with highlands and sandy beaches, ancient Buddhist ruins and Tea Plantations aplenty. 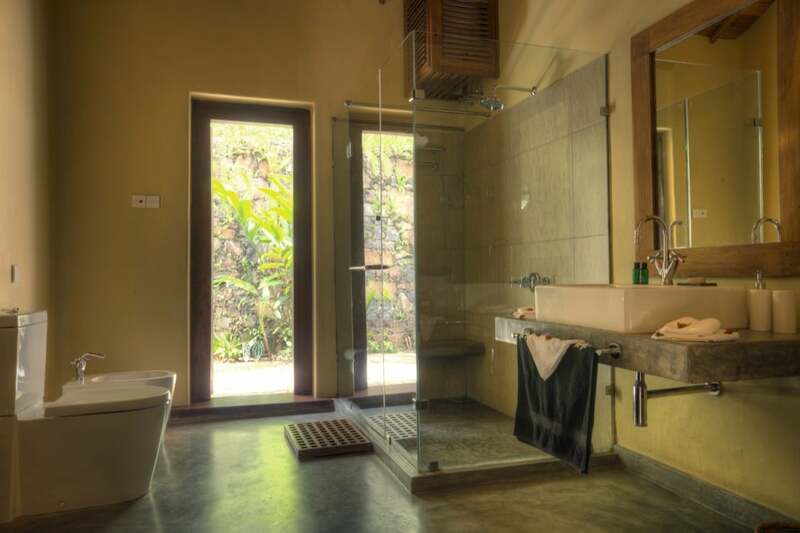 A peaceful way of life can be found here and the boutique hotel of Living Heritage Koslanda is the perfect place to connect with this wonderful country and perhaps, reconnect with yourself too. 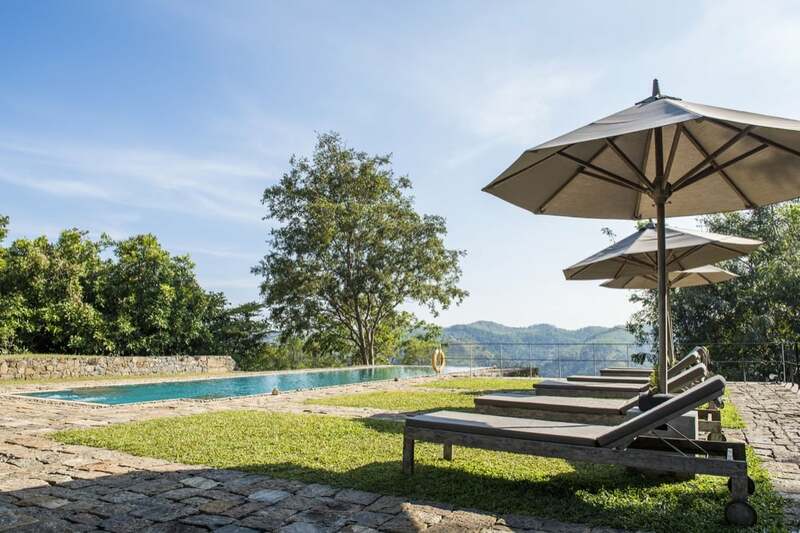 Living Heritage Koslanda is set in the heart of Sri Lanka’s hill country on its own estate with beautiful tea plantations beyond. You can fly direct from London to Colombo, the capital of Sri Lanka, in just over 10 hours with Sri Lankan Airlines. The hotel is then just a 5-hour drive from the airport, transfers can be arranged by the hotel if you wish, which takes one thing off your to do list! 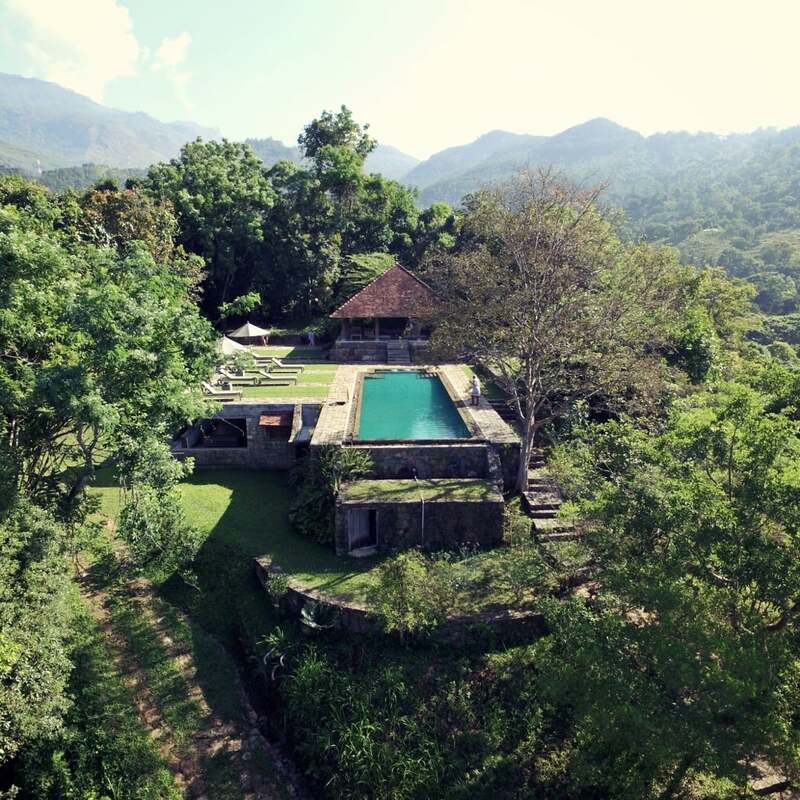 The hotel feels like a tranquil, hidden gem tucked away in the middle of the nature. You are surrounded by magical forests, waterfalls and stunning views. There is a feeling of exclusivity and calm but you never forget the stunning natural world that envelopes you. 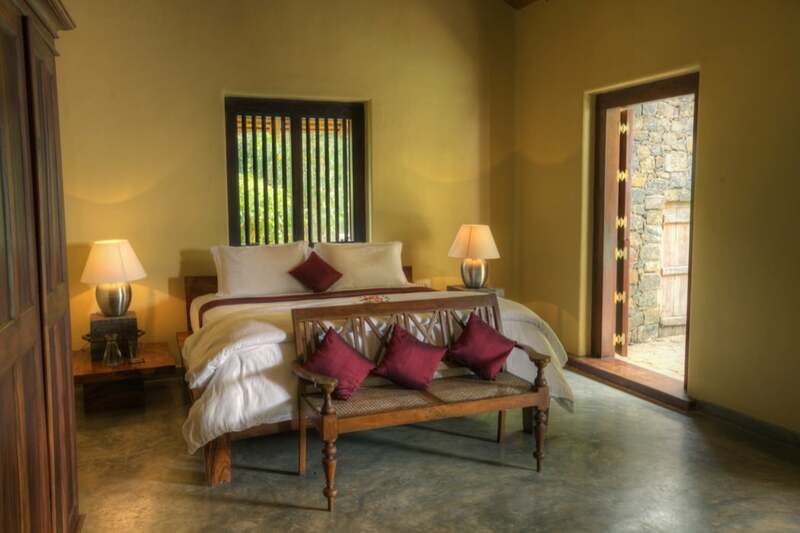 The villas feature traditional Sri Lankan architecture, design, materials and colours and have been furnished with beautiful antiques. This is an infinity pool to top all infinity pools! Cleverly placed the opposite way to how you expect, with the narrow edge facing the view, it seems to frame the view even more dramatically. 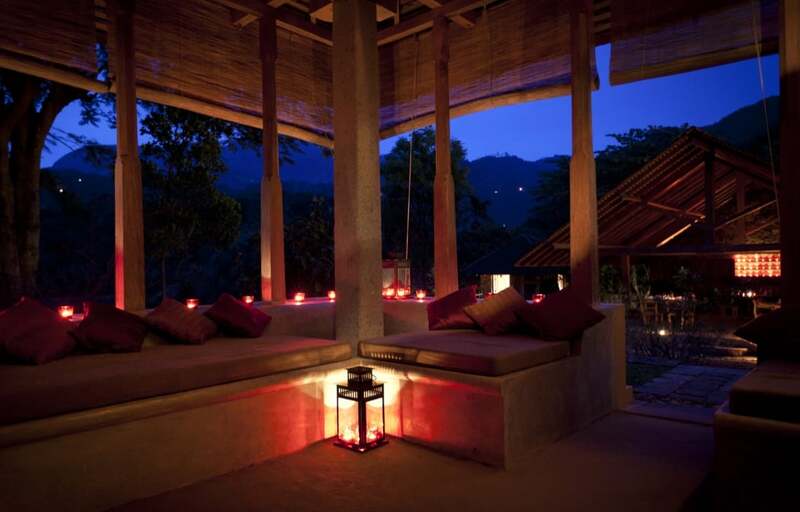 It is set right above the paddy fields so the vista is incredible. The hotel has 3 Ambalamas, these are 3 open-sided, roofed houses, ideal for relaxing in the shade or perhaps for some yoga or meditation. The poolside Ambalama enjoys the same magnificent view as the pool and is surely a favourite spot. 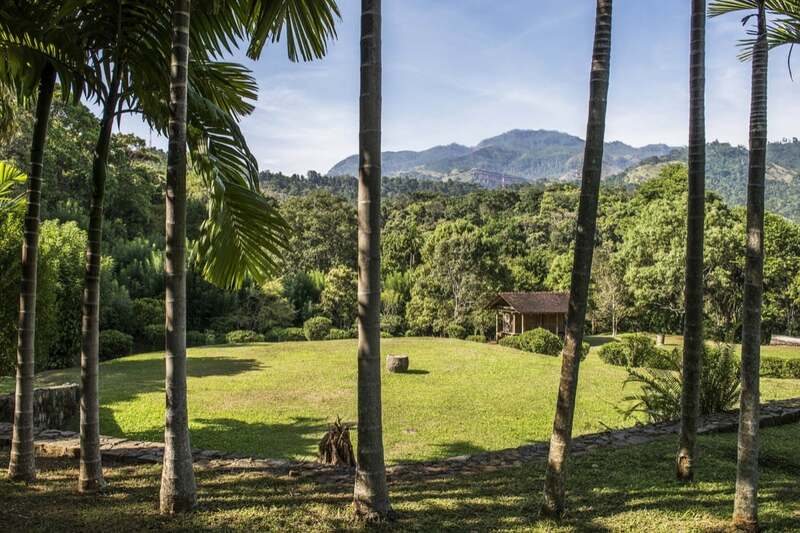 There are 80 acres of stunning forest to explore and it’s just a 20-minute walk through the jungle to the waterfall; the resort will organise you a picnic lunch to take with you of you want to spend a few hours there. The service within this luxury hotel is very personal and you feel as if you are staying at a much larger resort as someone always seems to be available to assist you. They are more than happy to organise tours to local sites, as well as running cookery classes where you can learn to make traditional Sri Lankan delights. The 4 suites are all spacious and luxurious with huge Emperor sized beds, ensuite bathrooms, private courtyards, private plunge pools, private walled gardens with hot water garden shower (where you can shower by moonlight – an experience not to be missed!) and long verandas. 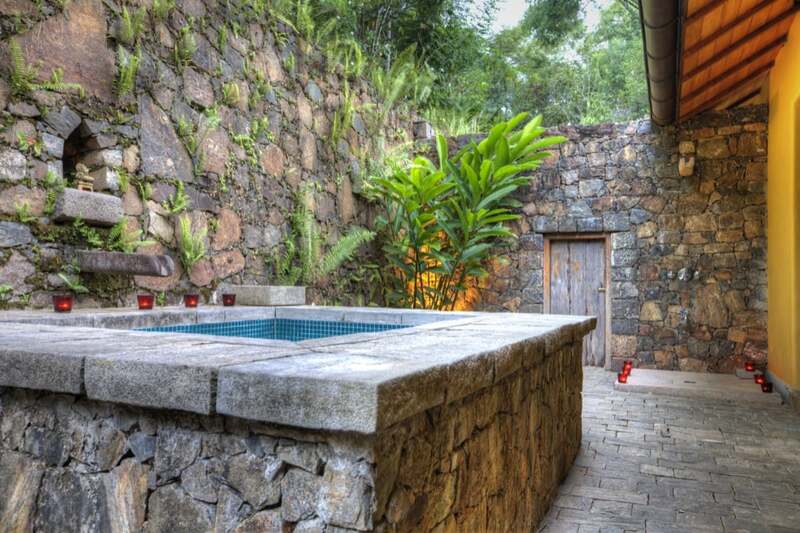 Choose the Private Pepper Garden Villa as it offers total privacy and is entirely on it’s own. Food is important here and is generally a set menu with beautifully presented Sri Lankan delicacies; think steaming curries and fresh fish; lots of variety and flavour – ask them to adjust the spice to your taste. The vast majority of the food is grown on site or sourced locally. There is a small room service menu available too. The fairly limited wine list is none the less excellent and the cocktails are not to be missed.